Thank you to all our golfers who have registered already! Registration is now closed. See you at the outing! 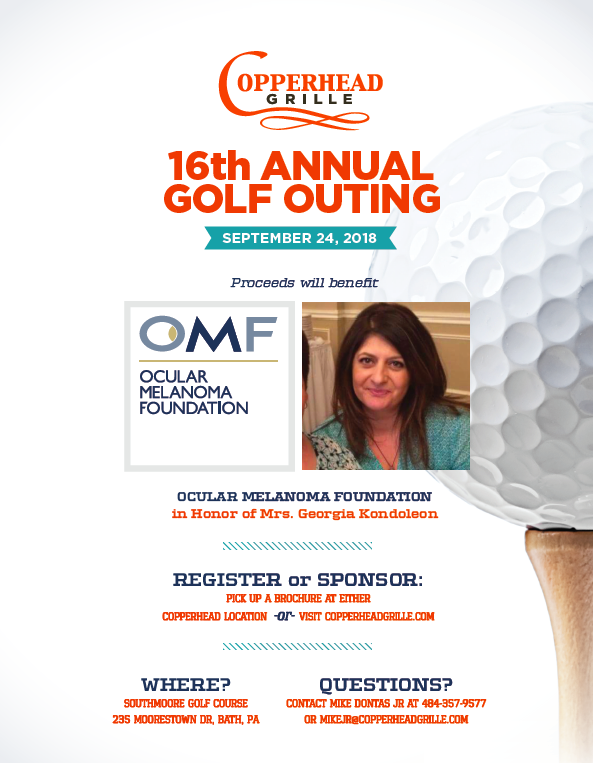 Proceeds will benefit Ocular Melanoma Foundation in honor of Mrs. Georgia Kondoleon.